From the wedding lehenga to the hairstyle, from the flower arrangements to the buffet, from the venue lighting to the guest list, each and every tiny detail is paid heed to during the wedding.But, amongst all the hustle and bustle, brides often go wrong when it comes to their jewellery. Your wedding jewellery can make or break your entire look.To help you through this decision-making process, here are a few points that you need to keep in mind before you choose your wedding jewellery. A lot of brides make the mistake of copying a jewellery style that some other bride wore on her wedding or which they might have seen in some magazine. Many a times, they also leave their jewellery shopping to their parents or siblings to complete. Keep in mind that your wedding jewellery should reflect your personality, not someone else’s. Each woman has a different body structure, frame, complexion and look. Also, your bridal jewellery should compliment your dress. 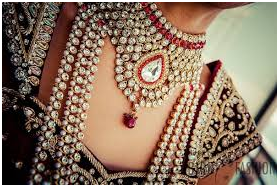 Before you go for your bridal jewellery shopping, think about your wedding dress as well. 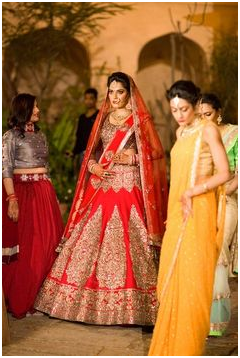 Wedding jewellery worn with a lehenga will be a little different than what is worn with a saree. 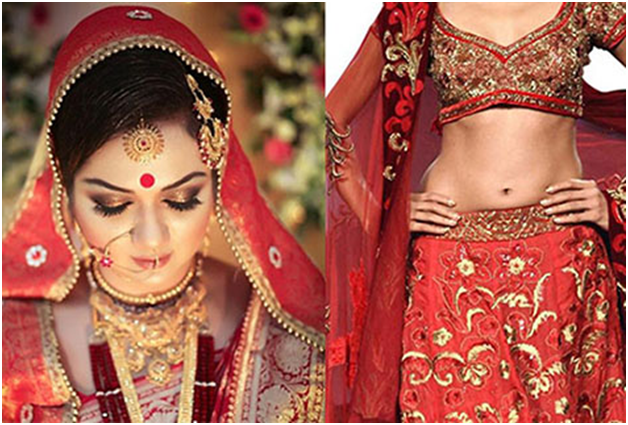 Also, the style of your choli should be kept in mind before you finalise your jewellery. For example, if the maang tikka that comes with the set you have purchased is very heavy, go for a sleeker one that is of same colour as the rest of your set. 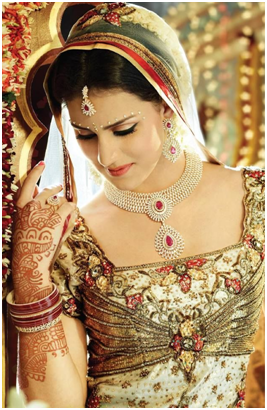 Do not go overboard while shopping for bridal jewellery. Nowadays, trends in styles, stones and metals change often. Instead of buying in bulk, buy some beautiful and trendy pieces that suit your requirement. Your jewellery should be such that it not only has an heirloom value, but can also be put to use after the wedding.